Property speculators are in the sights of the new Tax Working Group which the government has just released the Terms of Reference for. 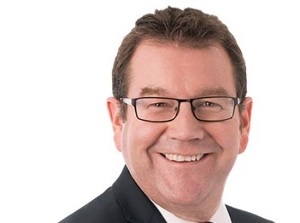 Finance Minister Grant Robertson says that the Working Group, which will be chaired by Sir Michael Cullen, will consider changes to improve the structure, fairness and balance of the tax system. “At the moment the tax system appears unfair – for example, it doesn’t treat income from speculation in housing as it does income from work, he says. Robertson doesn’t believe that individual wage-earners, businesses, asset owners and speculators are paying their fair share of tax – and says they should be. “The Working Group is not about increasing income tax or the rate of GST, but rather introducing more fairness across all taxpayers. Robertson confirms that, as promised during the election campaign, certain areas will be outside the scope of the review, including changes that would apply to the family home or land beneath it. The spectre of a capital gains tax was raised during the election, but Robertson did not mention this today. However, he says that any significant changes legislated for from the Group’s final report will not come into force until the 2021 tax year, after the next election. The other members of the Working Group will be announced before Christmas and the Working Group’s final recommendations to ministers are due by February 2019. Robertson says it is important to ensure that all sectors of the economy can feed into the Working Group’s processes and that all relevant perspectives are considered. They are wrong. Speculators are already taxed - either with the intention test or with brightline. What they really want to single out for special taxation punishment are property investors (not speculators). Excluding the family home will make the exercise counterproductive. Landlords such as myself would be deincentivised from improving our tenanted property. We would instead divert our resources to our homes. I already see more resources spent on million dollar dwellings than on rentals/lower priced properties. One real rort is tradesman hiding their labour and materials in improving their owner-occupied properties, then selling them. This would not be caught in such a regime. I do not mind CGT if applied uniformly across all asset classes (e.g. owner occupied, farms, businesses, shares, commodities, precious objects) but choosing to do so may not bring the required dividends but enrich lawyers and accountants.